Happy trippers at Sailor School, with Walt Buckle (in top row), current owner. During the mid-19th century, school was held a few months each year, typically from December to February. Later it expanded to November through March, and still later October to April. Many times men taught in the winter months and women in the spring. Frequently women teachers would be warned about “big” (boy, bully) students with whom they may have problems, but the women were pretty good at figuring out how to deal with those students. There is a distinct pattern of an early landowner who designates a space and builds a log school for the area children. Sometimes the landowner is even the first teacher. Not much time goes by until logs are cut and a wood structure is built. Sometimes the site changed from one side of the road to another, and when a larger building was erected, the old smaller one was relocated for another purpose. The brick buildings are usually three layers of brick, or two of brick and one of glazed block. 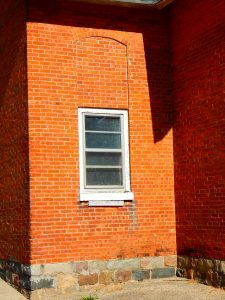 Students frequently etched their names in the brick or window ledges, and sometimes they included dates. We can see that at the Solomon Creek and Harrison Center schools. Most of the information for this tour comes from Dean K. Garber’s Elkhart County One Room Schools: The Three R’s (1991), available in the Indiana Room of the Goshen Public Library and for sale at the Goshen Historical Society Museum. 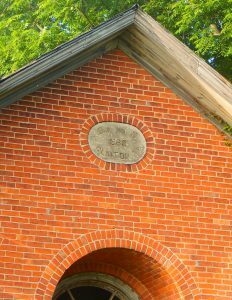 Many of the brick schools were two rooms, but the earlier wood buildings had just one. Only one wood school is still extant—the Baldwin School, which was moved to and restored near Bonneyville Mill Park. Other information I obtained from talking to people, researching at the Goshen Historical Museum, and remembering discussions from the older generations in my family. I apologize in advance for any inaccuracies; there are few people left who can verify this information. Pleasant Hill – CR 40 at CR 37 – Clinton Twp. This was first known as Dewey School, because it was built on land owned by Charles H. Dewey. He was also the first teacher. 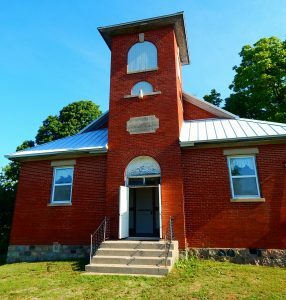 The school closed in 1914 and students went to Millersburg. It has continued in use as a storage facility. Benton – CR 44 just west of US 33 – Benton Twp. Henry Beane was the first teacher. He also platted the village of Benton. 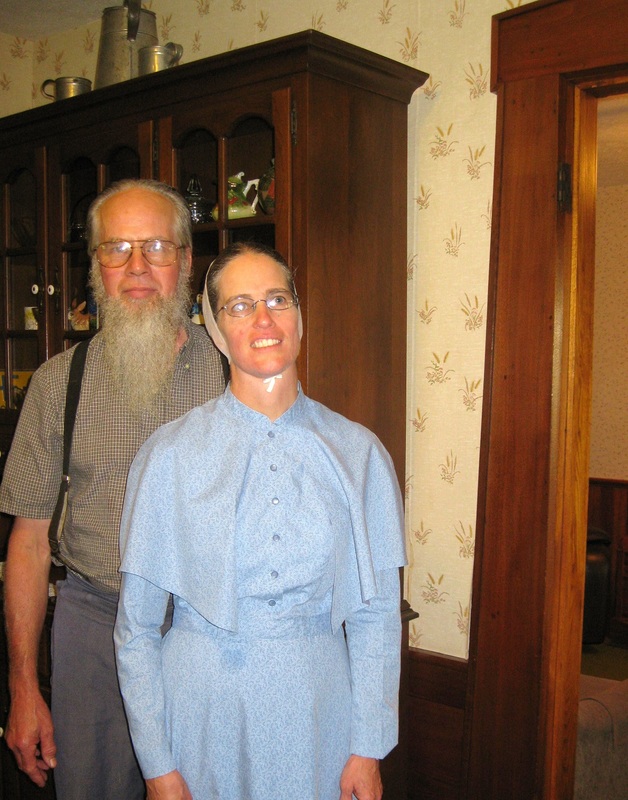 Vernon Stutzman, a long-time Clinton Frame Mennonite member, taught 1922-23. 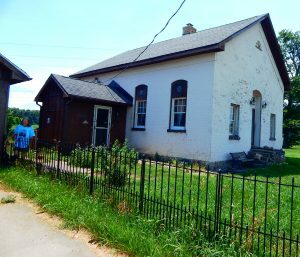 The property is now owned by the Phillip Dowty family, who have little information about the school and no pictures or other artifacts. 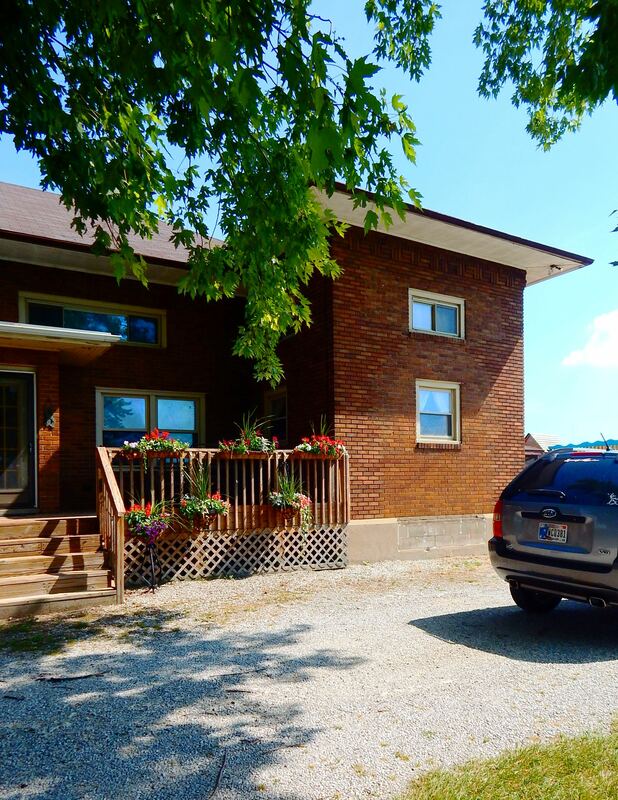 They bought the property in 1989 when it was a boarded-up, vacant building with no water, no heat, etc., and remodeled it into a beautiful, comfortable home. Solomon Creek – CR 146 just west of CR 33 – Benton Twp. 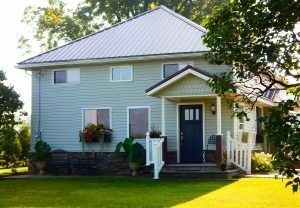 In 1989 Cam and Mel Boyer purchased the building (which had been used as a farm storage shed) and renovated it into a home. 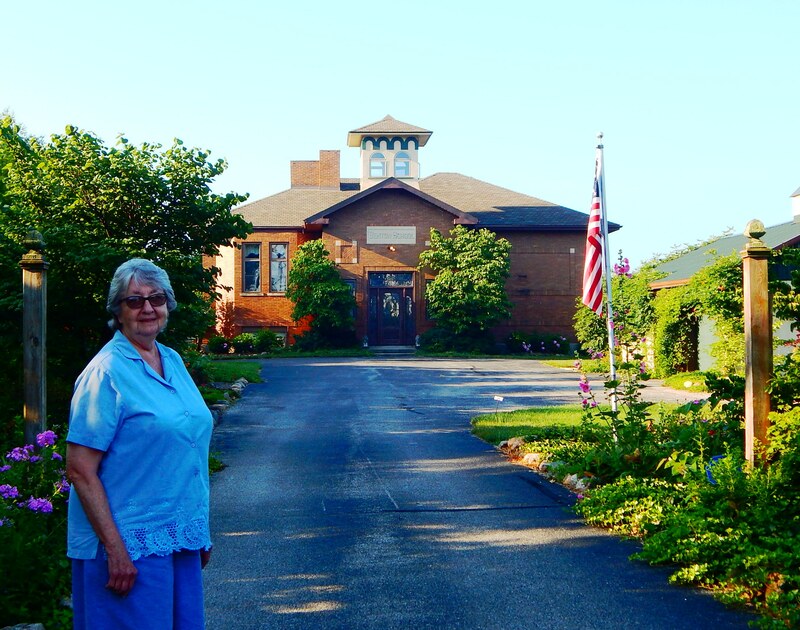 In 1999 James and Peggy Cronin bought the house and added some extensive remodeling of their own. Baintertown – SW corner of CR 29 and CR 142 – Jackson Twp. Since 1913 it has been used for storage—which says something about how well it must have been constructed. One of the students was a W. H. Hoover, but he would have been from the New Paris Hoovers and not identifiable in my family. Some members of that Hoover family were Brethren Church folks. Swoveland – CR 15 and CR 44 – Union Twp. Many Wisler Mennonite students attended school here, including Loretta Ramer Hoover of Five Points. In 1957 Leonard and Dora Frederick bought the property and remodeled it into a home. It has had several owners since then. 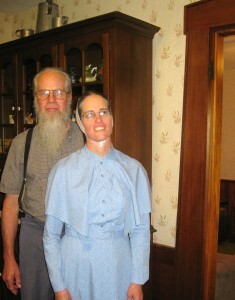 Currently Lorie and Micah Hensley, who bought it in 2004, live there. 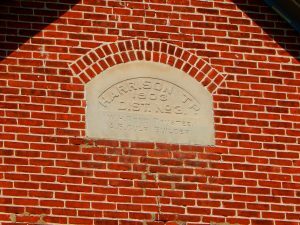 Dell – CR 15 and CR 36 – Harrison Twp. After the school closed in 1954, it was rented out occasionally as an event center—for family reunions, 4-H meetings, etc. It has been a church building for some years. I have no information on teachers or students, but I am positive that many would have been from Anabaptist groups. Harrison Center – CR 36 and CR 11 – Harrison Twp. 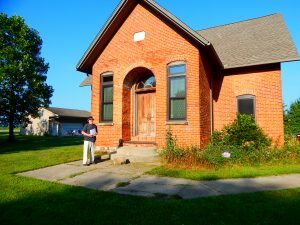 My great-grandfather William A. Hoover taught here; his children, grandchildren, nieces, nephews, and their children were students here. Many of the students and teachers were Mennonite, Wisler, Old Order, Brethren, and Missionary people. Harvey Yoder, Robert Gongwer, and Martin Grosh, all Mennonites, also taught here over the years. 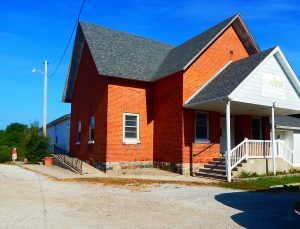 In 1954 the school was closed due to consolidation, and at some point the building was purchased by the Yellow Creek Wisler Mennonite congregation. 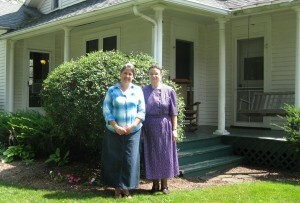 They used it for young people’s meetings and other events, and most recently it is the site for the women’s sewing group. 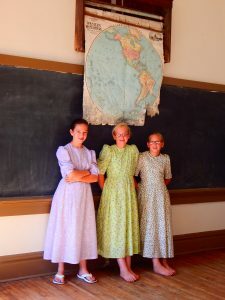 The Wislers now own and operate Harrison Christian School, and the 5th graders spend one day each spring here in the old school, where they study and play the “old-fashioned” way. This is the best preserved school building on the tour. Shriver-Kulp – CR 7 and CR 36 – Harrison Twp. Robert Gongwer and D. A. Yoder, both Mennonites, taught here. 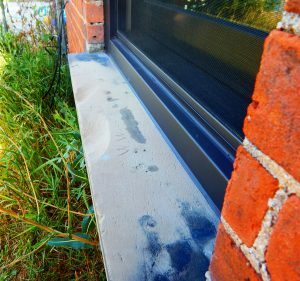 This school had low attendance and closed before consolidation. 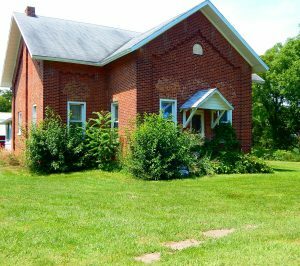 At some point, it was renovated into a home, currently owned by Ray and Hope Collins, who attend Yellow Creek Mennonite Church. Sailor – CR 30 and CR 3 – Olive Twp. 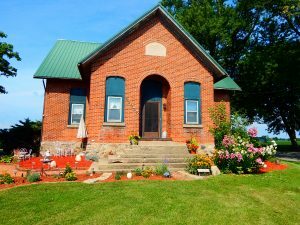 This was the first school in Olive Township. 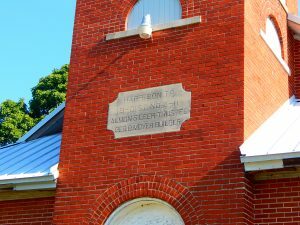 It was also the site of the first election held in the township—with votes cast by 12 men (the only eligible voters at the time). The school closed in 1925 when pupils were sent to Wakarusa. Later it was made into a residence, now owned by Walt Buckle. Jonesville – CR 7 and CR 30 – Harrison Twp. 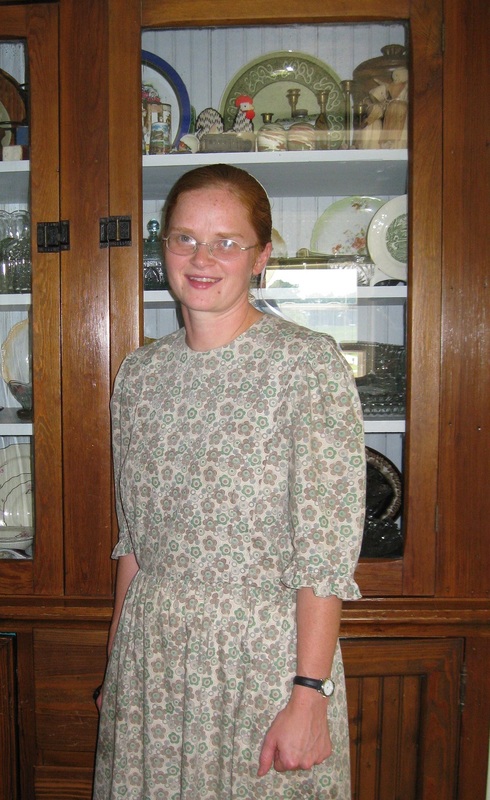 D. A. Yoder, a member at Olive Mennonite, was a teacher here. The school closed in 1954 at the time of consolidation and was later renovated as a home. Darrel Yoder and his wife have lived here 33 years. 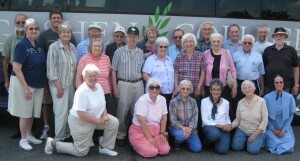 They attend Bethel Missionary Church. Kurtz – CR 30 and CR 11 – Harrison Twp. Doris (Mrs. Stanley) Shenk was one of the teachers at this school. My father had one brother and one sister who attended here while she was teaching (Harrison Center was too full and this school had room). My own brother Dale Hoover began first grade here in the fall of 1953, but in January 1954 all the smaller schools in Harrison Township were consolidated at the new Harrison Township School on CR 11 just north of CR 38. Since 1954, there have been five owners of the property, the first of whom renovated it into a home, but each of the others have subsequently continued the remodeling. It has changed sufficiently that a former pupil could not identify it, even though she knew the property. Forrest Hill – CR 11 and CR 26 – Concord Twp. During the 1950s the roof was lowered, it was renovated into a ranch-style house, and the exterior was stuccoed. The building was used as the offices of an insurance company for many years, and is now occupied as a dwelling. Pleasant Plain – CR 7 and CR 20 – Concord Twp. 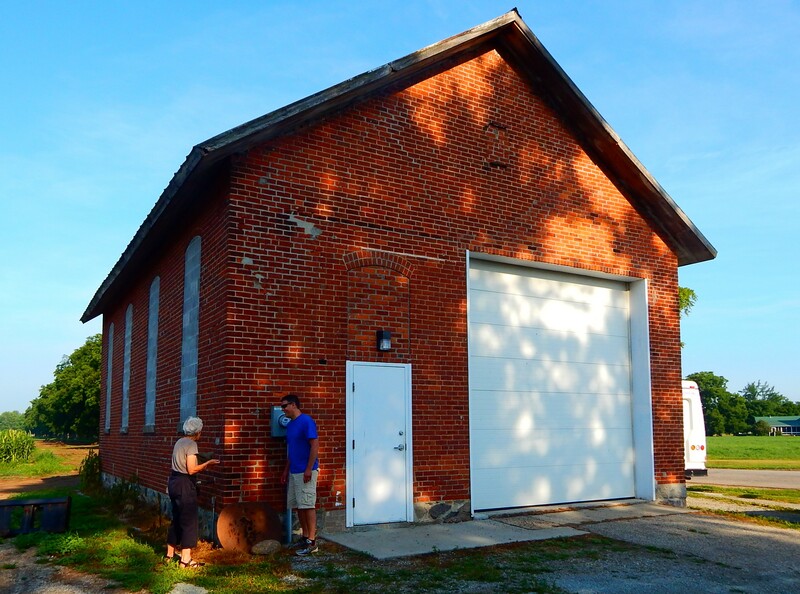 In 1927 the school closed and became a grange hall. In the 1970s the property was sold and became a Mexican restaurant. In the 1990s it became Phyls Neighborhood Bar, one of few public places in the county where smoking is allowed. Excelsior – CR 45 and CR 18 – Concord Twp. According to Garber, this was first called the Myers School because Jonas Myers owned the property, and he was the first teacher. Roger Weaver says he has found no newspaper articles using that name, but a relative of his, Lydia Grosh, who attended Beulah Missionary Church, taught there at one time. I found nothing to explain why it was later called Excelsior, but that’s how it was known in 1924. For many years it has been the site of Barney’s Bar, but that recently closed and the property is now for sale. White Brick – CR 14 and CR 23 – Jefferson Twp. • 1889 brick replaced the former wood frame building. Nancy Tubbs currently lives in it. 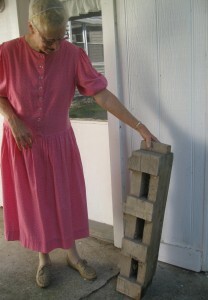 She and her late husband purchased it 20 years ago. A former owner had removed the ceiling to expose the beams. It is the building that has been most successfully converted to a dwelling while retaining the appearance of an old school. Bemenderfer – SR 15 and CR 26 – Jefferson Twp. This was called the Jefferson Court House in the 1890s, perhaps because the architecture made people think of a court house. 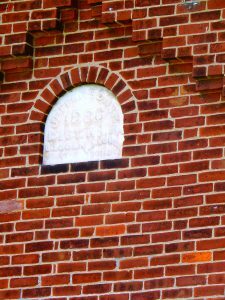 The bricks for the school were made at the Bemenderfer brick factory, so after that it was called the Bemenderfer School. Frances Cripe is the current owner, and her son Roger lives there. 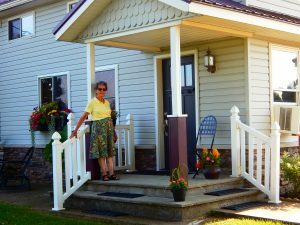 She grew up across the road, and when she was a child in the late 30s and early 40s, it was already used as a house. Model – CR 32 and CR 19 – Elkhart Twp. My mother attended here in 1935-36. Lloyd Hess, a long-time Missionary Church member, was a teacher here in 1939. There is a lot about this school, including photographs, at the Goshen Historical Society Museum on Main Street in Goshen. Peter Berkey, b. 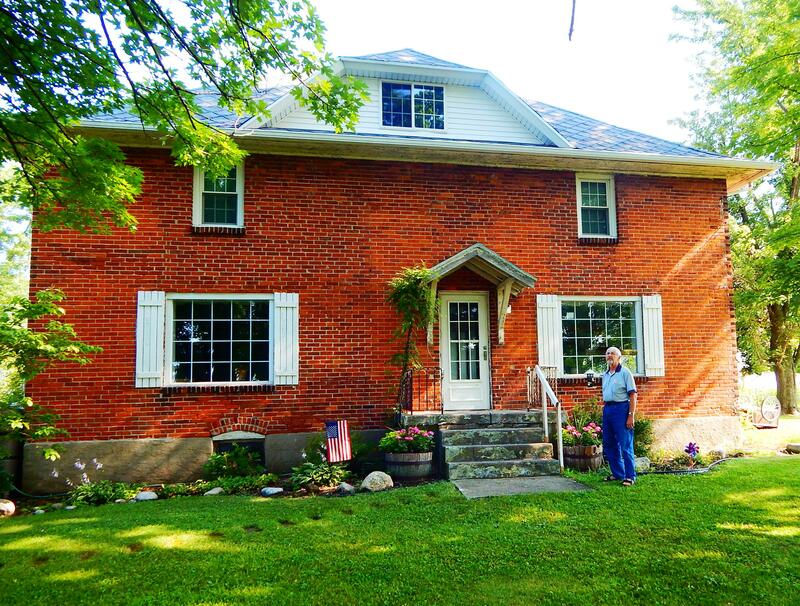 1844 in Sommerset, PA, bought the farm in 1866, and d. 1921. Plat Book says 90 acres, but 10 were sold. His daughter married Frank Miller, and they owned the land in 1915. 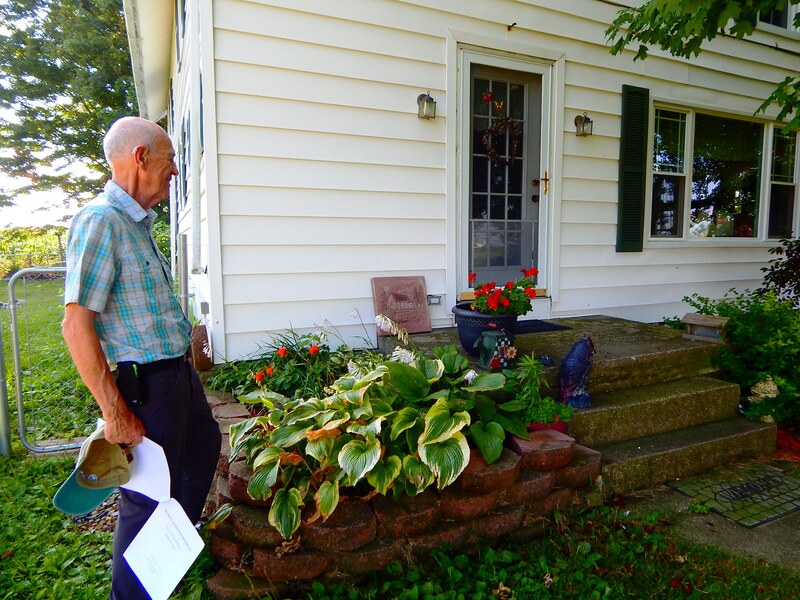 Peter’s son was Foster Berkey, and he owned the land in 1920. His son was Harold Berkey, and owned the land in 1967. His oldest son was Phil Berkey, who has owned the land since 1981 and is our host today. All the men were farmers but also accountants, pastors, or teachers, and some of their wives were teachers, too. Martin Musser came from Ohio and bought 158 acres in 1852. His daughter Margaret married Martin A. Hoover, and they bought the land in 1870. Their daughter Catherine married Amos Witmer, and they bought the east 100 acres, and Catherine’s brother William Hoover bought the west 58 acres. Their son Walter married Alma Shaum in 1919 and farmed the land. 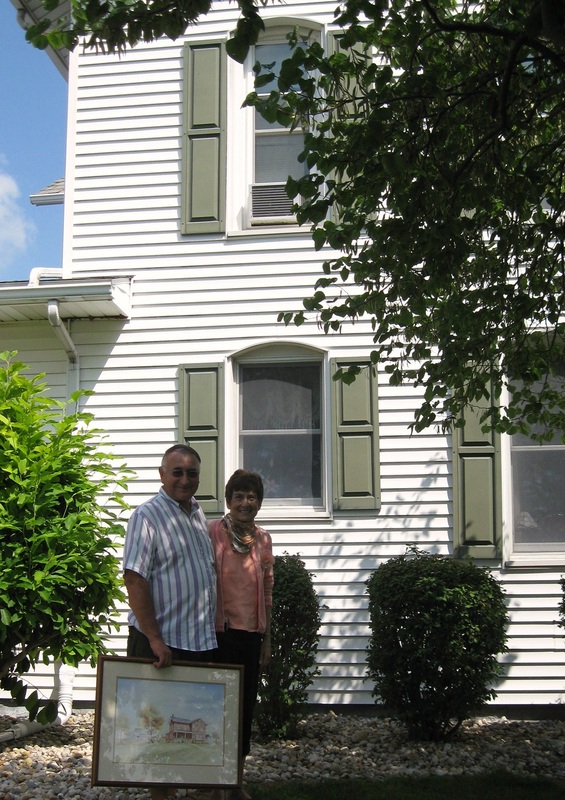 Their son Paul married Edna Fay Wenger in 1949 and they shared the house with Walter & Alma until the latter moved into a new house near the road. Paul & Edna Fay’s son Tim and his wife Beth bought the land in 1986. They live there with their 5 children, who are the 7th generation. They were all farmers, but Amos Witmer was also a builder. 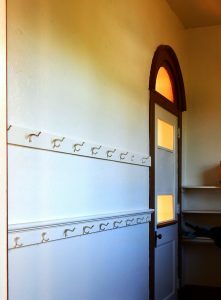 He built the house and barn on William Hoover’s land to the west, as well as a church in Ohio; he also made furniture. In 1836 President VanBuren released 160 acres for $1.25 per acre to a Samuel Burson. There were four more owners, including the Steiners from whom Elias Martin bought 80 acres in 1884 for $600. 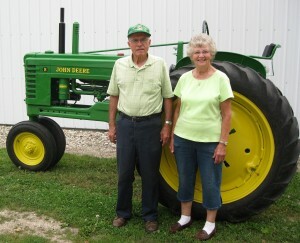 Elias gave the farm to his son John, who married Emma Snyder. Their daughter Nettie married Warren Hoover and moved onto the farm in 1926 and actually bought the land about 1945. Their son Ernest bought the land in 1984 from Warren’s estate. His daughter Vera and her husband Dean Witmer and their sons Clifford and Cleon bought the land in 2013. Christian Wenger bought 50 acres in 1859. In 1866 he bought 10 acres of woods on the south side. Christian’s son Eli Wenger purchased the 60 acres in 1882. Eli’s brother Michael purchased 80 acres (where Ron now lives). Menno Wenger married Amanda Reed, and had a son Russell. 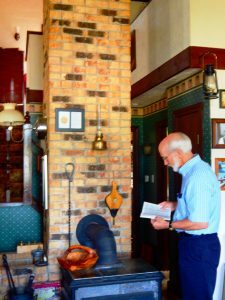 Menno bought the farm in 1911, and his wife died in 1912, so he moved back with his parents and rented the land to others until 1920. Then he married Ada Reed and had a son Clifford. Russell married Esther Eby in 1932 and farmed with his father. 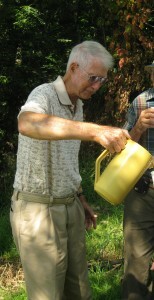 Clifford rented Bernice Hess’s farm in 1939, and later purchased other land nearby for himself. 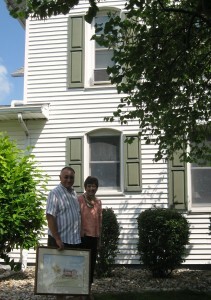 In 1959 Ron married Arlene Yoder and went into partnership with his father Russell in 1965. 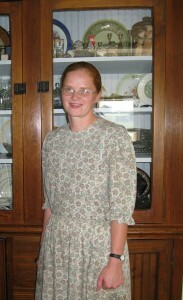 They have four children, the oldest of whom is Brent, who now owns part of the farm. Ron’s brother Carlton Wenger purchased the farm in l986 and Ron farmed it. 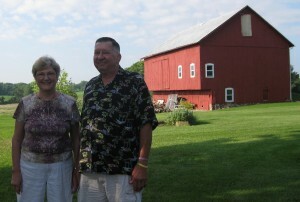 Ron’s daughter Kari Wenger Kern purchased the land in 2002. Her children are the 7th generation. In 1900 John R. Hess purchased land from Jacob & Elizabeth Hess (earlier owners are unknown—the abstract goes back only to 1900) on both sides of CR 32. He died in 1914. 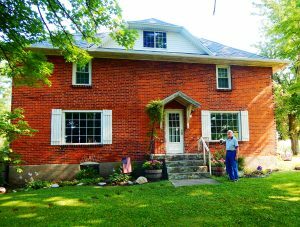 In 1925 his widow sold the north farm to her daughter, Bernice Hess Wagner, and the south farm to her other daughter, Lucille Rohrer. Bernice rented out the land, and in 1981 JR Rohrer (Lucille’s son) bought it from his aunt’s estate. JR & Lucille’s son Rolland owns and operates the south farm. In an earlier era, there was apparently a tannery on the property, but that comes from oral history only. They have always been farmers, but JR sold insurance and his son runs a small trucking company in addition. The land was surveyed in March 1834. A Lockwood bought it in 1836 from the President VanBuren tract. John K. Weldy bought it in 1869 for $2500. John and his wife Susanna (Mumaw) had 10 sons and, finally, a daughter; Walter was one of the 10. Walter’s son was Kenneth, and Kenneth’s son was Robert. They have all been farmers, but some were also preachers, singers, and salesmen. John was known as “Old John” at the age of 45; because of all his axe-yielding work, his body looked old. His wife played the organ and the family produced many good singers (Dwight Weldy’s father was one of the 10 sons). 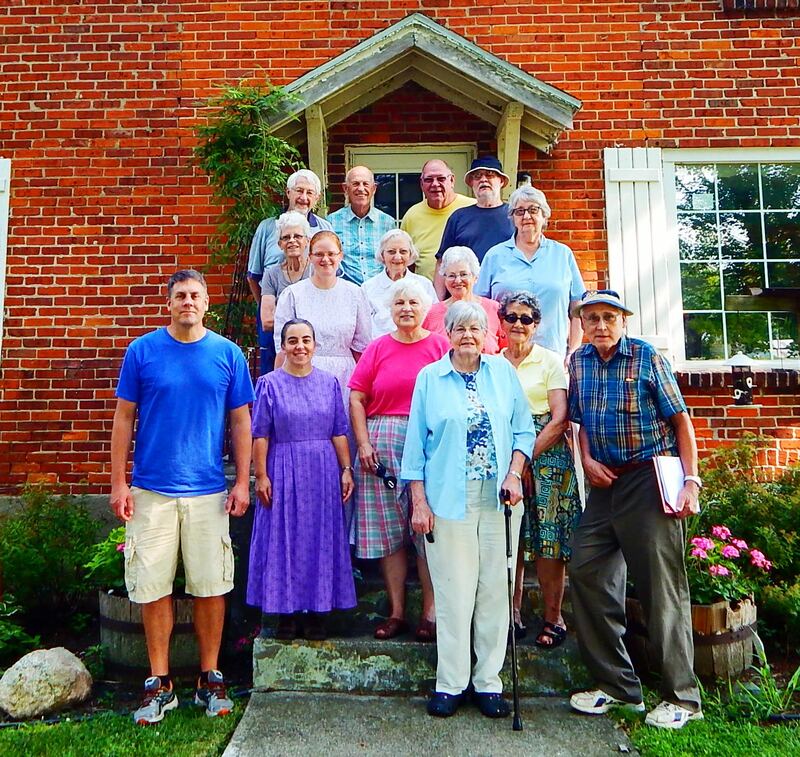 In 1849 “Mother” Kehr, a widow, and six sons moved from Medina Co., Ohio, to Harrison Twp. She came in the company of one John W. Moyer who followed a brother. The oldest Kehr son was Christian, who bought a 40-acre farm from Daniel & Rebecca Hoover for $1000 in 1865. He drained the land, built fences, and raised crops and livestock. He married Winifred Singer and they had a son George, who had a son Jesse, who had a son Stanley, who was Steve’s dad. In addition to farmers, Jesse was a chiropractor, Stanley was a woodworker, and Steve is an automotive technician; Sherry operates her own business, the “Bread…it’s in the Bag” store. Martin A. Hoover purchased this farm as part of a larger tract in 1870. His son William A. Hoover took possession of the west 60 acres and had a house and barn built in 1899 by his brother-in-law, Amos Witmer. His son was Paul. His son was Clarence. His daughter was Diana, and her children are the 6th generation. They have all been farmers, but William was also a teacher for 25 years in at least 8 different schools, and Paul was ordained to the ministry at the age of 25 in the Wisler Mennonite Church. Paul was also very involved in the beginnings and growth of Oaklawn. Martin A. Hoover purchased the land in 1892, had the buildings put up in 1893, and retired there. The farm across the road was left to the children of his first marriage, but this home was left to his second wife and her children; she had one son from a previous marriage, and three more with Martin. The son, Peter Hartman, never married, but lived there with a succession of different families, the last of which was Isaiah & Beulah Witmer (he was a great-grandson of Martin). Isaiah’s son is Dean, and Hannah is Dean’s daughter.